Asia Pacific Superyachts (APS) owner-agents are excited to return to Monaco and share new information and government changes of stunning Asia Pacific regions at the ultimate luxury rendezvous for the international elite clientele, the Monaco Yacht Show to be held September 27-30, 2018. APS owner-agents at the APS Stand QH25 at Quai De L'Hirondelle, once again located next to the Monaco Yacht Club, will be on hand with the latest updates of cruising destinations, regulation changes and arrival /departure tips in the Asia Pacific for superyacht owners, captains, managers and other industry professionals. There's been some exciting growth for APS. Reporting from Indonesia Captain Jimmy Blee recently announced that APS, the first company to offer specialist superyacht shore support in the vast archipelago of Indonesia, is now the first to open an office in the amazing Raja Ampat area: "The strategically located fully staffed APS office on the waterfront in Sorong recognized the growth potential and with Raja Ampat one of the best cruising destinations in Asia, it was important to our company that we provide on the spot permanent local support for our existing and new clients". Duthie Lidgard, heading up APS New Zealand reports on the new South Pacific Superyacht hub for both refits and cruising, the new office in Whangarei. The city is two hours north of Auckland and has opened its doors to the world of superyachts, as an entrance to Northland and the Bay of Islands in New Zealand, reports Duthie: "Here in New Zealand, we believe that the whole world is situated in just our small country, and this all starts at the top in Northland and Whangarei". 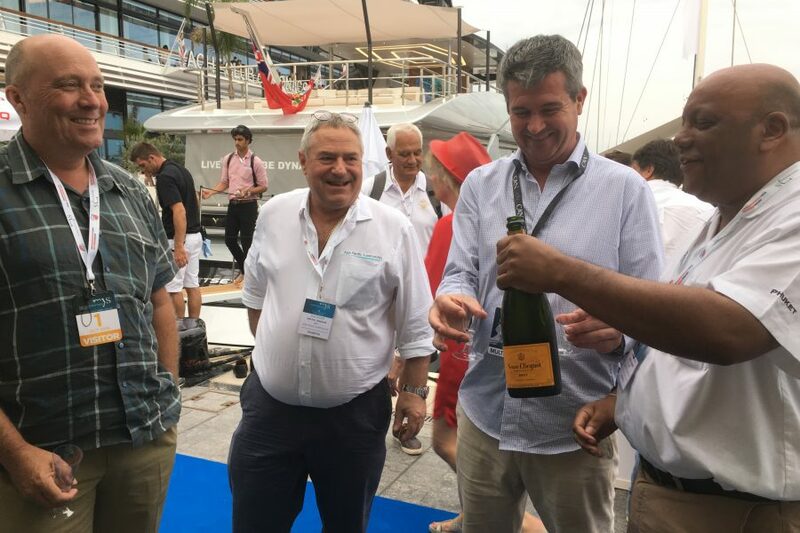 Returning to MYS is very important to all of us, explains APS co-founder, Gordon Fernandes: "Being at MYS gives us the opportunity to meet face-to-face with our clients and provide answers to owners and captains directly about destinations and changing regulations". Adding, "We’re looking forward to meeting up with many of our clients as well as other captains, owners, charter industry leaders and others keen on finding out the best inside information for cruising Asia Pacific". APS can provide custom itineraries from the most extensive network of superyacht experts, from the most thrilling and least visited spots on the planet. The APS owner-agents are looking forward to sharing arrival and departure news, tips on secret anchorages and gorgeous cruising waters, along with unique new land activities and details of new APS offices in Asia Pacific. Stop by the APS Stand QH25 at the Monaco Yacht Show 2018 for chilled refreshments and chats, at the same location as in previous years, next to the Monaco Yacht Club. Good news in Indonesia for foreign yachts!